On Monday, CBPA, along with other significant business advocacy groups, were included in a luncheon organized by the CalChamber with the Governor’s newly appointed Director of Finance, Keely Martin Bosler. The presentation was tailored to business interests and reviewed the budget from a fiscal point-of-view. “We are in extraordinary times right now, but that is punctuated by a lot of uncertainty,” Martin Bosler commented. 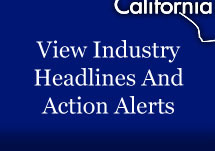 Highlights of the presentation are included in the latest CalChamber Capitol Report video. Click here to view that video.